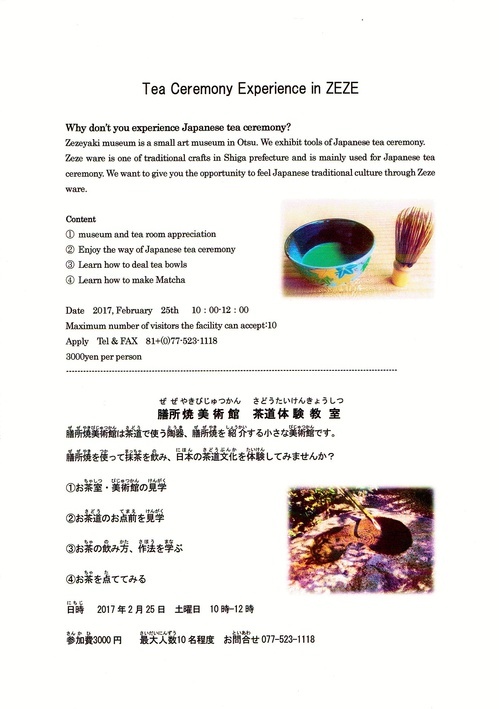 We are going to prepare the small classroom to learn Japanese tea ceremony for Non-Japanese. Copyright © 2005-2010 ZEZE-YAKI Museum. All Rights Reserved.